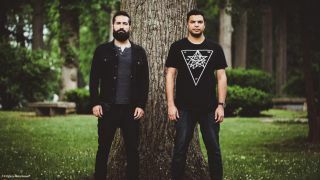 Periphery guitarists Jake Bowen and Misha Mansoor have released a new track from their electro-ambient project Four Seconds Ago. The single is titled Listening Post Alpha and it’ll feature on the duo’s upcoming album The Vacancy, which is set to arrive on September 28. Four Seconds Ago previously released the tracks Galaxy and Fadeaway, which can be found below, along with Listening Post Alpha.